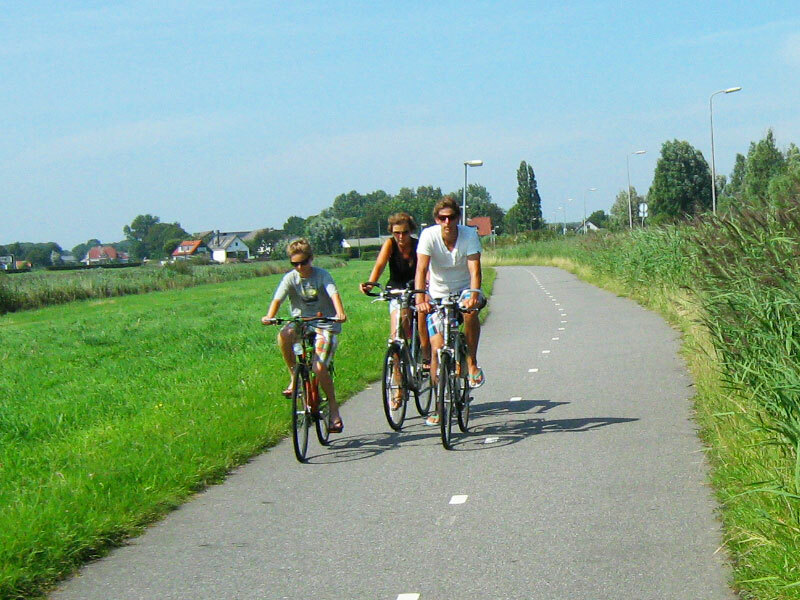 People who ride bikes in the UK are mostly fit, confident young and middle-aged men. Sure there are outliers of course (such as retired tricyclist blogger Zandranna) but these are exceptions to the rule and do not make up numbers of significance. 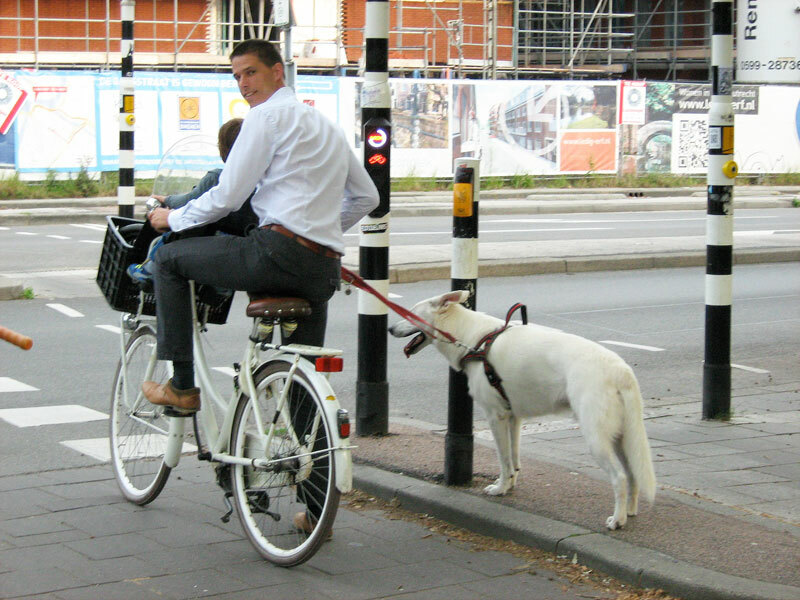 Cycling in the UK does not offer equal opportunities for all. 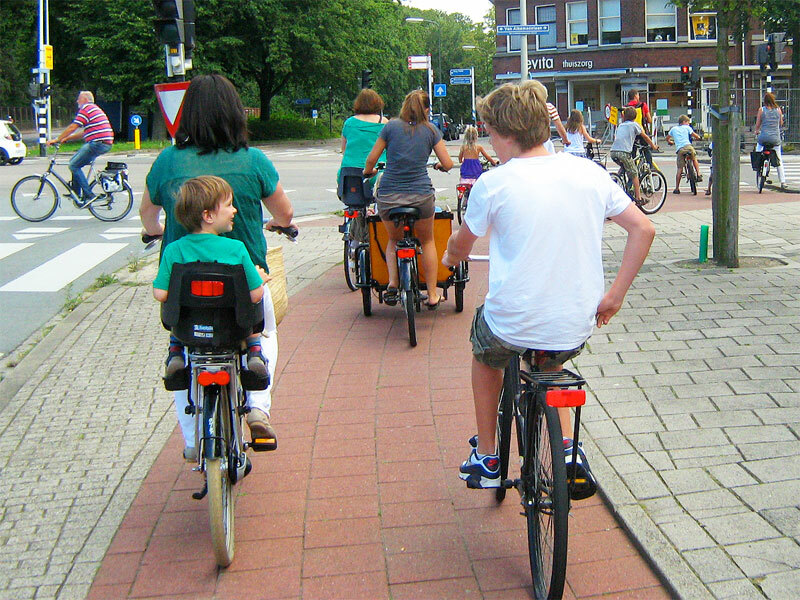 These picture posts aim to show how good quality infrastructure means that people of all ages and abilities choose to use a bike for transport and leisure, unlike the UK style of riding on the road with cars and vans, which will mainly appeal to those fit, confident men aged 20-50. So here I present photos of older people riding bikes. 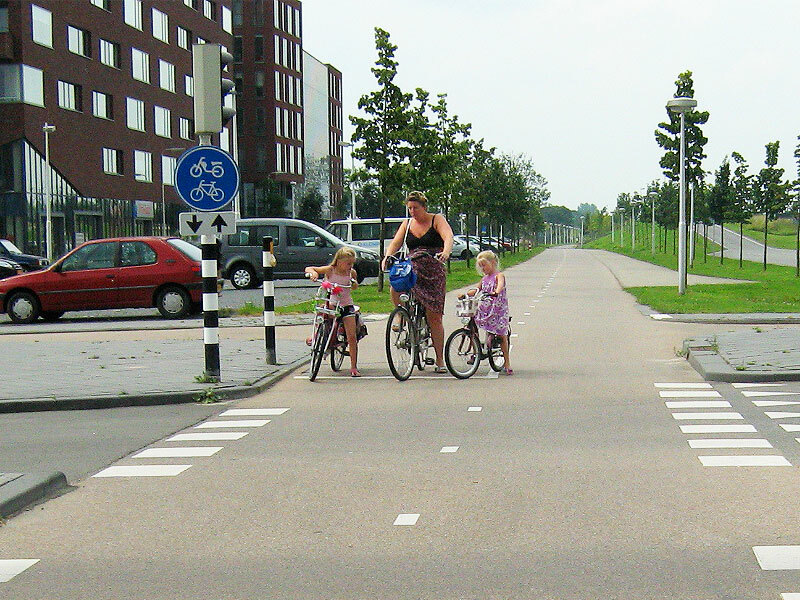 These are scenes which are rare in the UK but are commonplace and unexceptional in the Netherlands. As with my previous picture post, my brief trips to the Netherlands yielded so many photos that I had a hard time selecting which ones to use. I dare say you could hang around for a month in most British towns and never find any scenes like these. 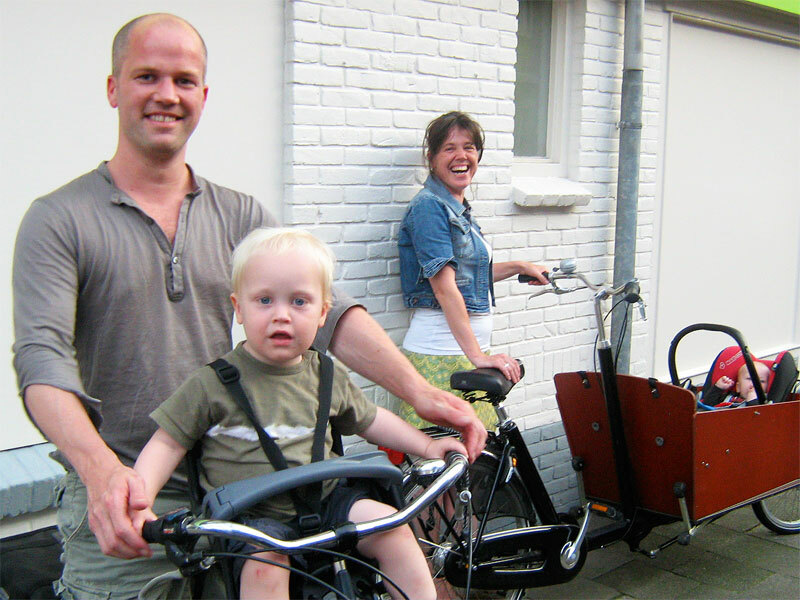 The first photo shows a group of people out for a ride together. Note the friend in a mobility scooter further ahead. 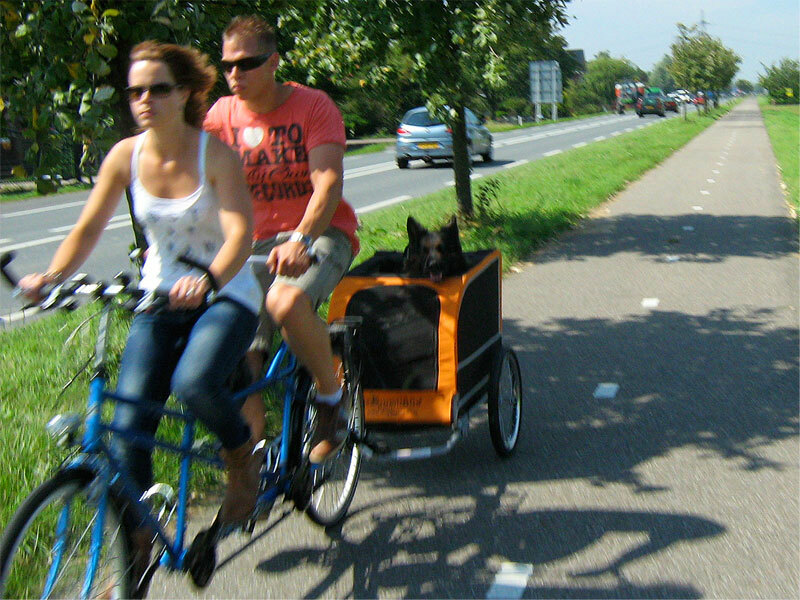 In the Netherlands, cycle infrastructure is designed to also be suitable for people with disabilities, which means that everyone has very high levels of independence and freedom. 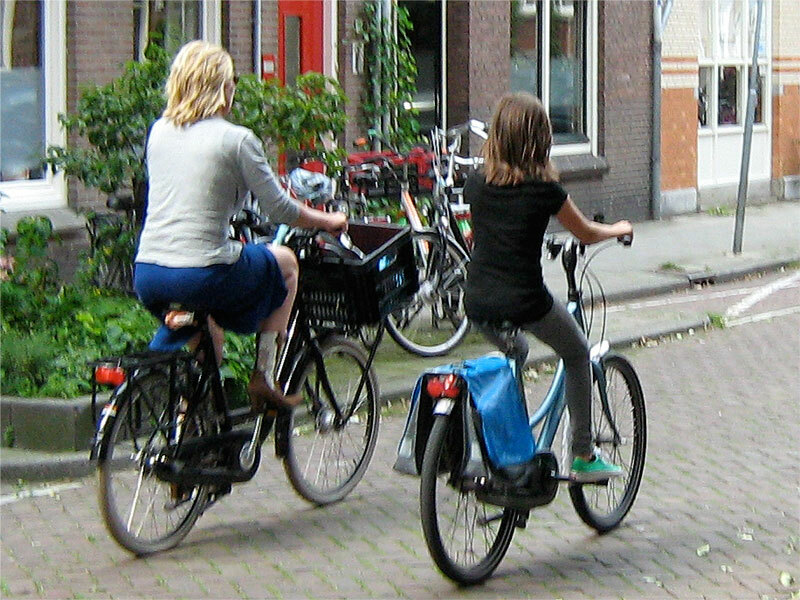 Let’s see your Bikeability achieve that, Franklin fans! And finally, an old favourite! 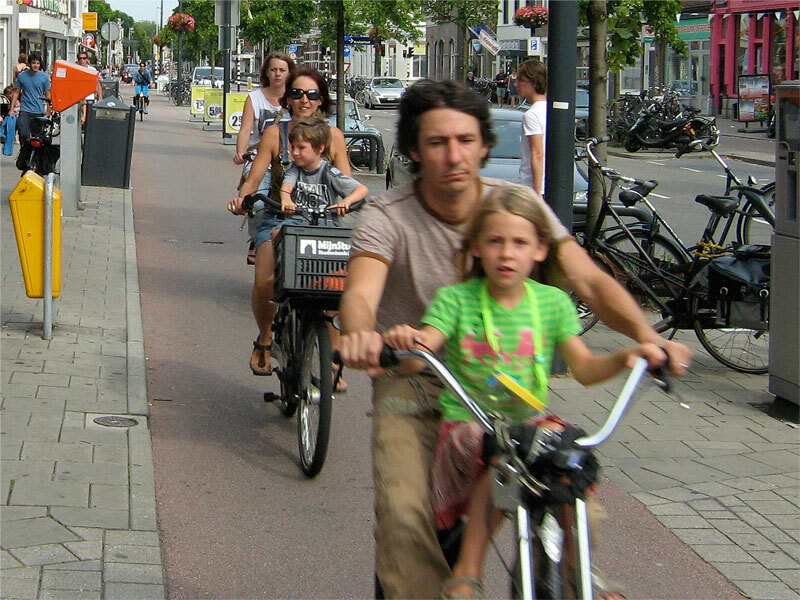 I like this one a lot because it really does demonstrate how the Dutch infrastructure allows people of all ages and abilities to get around safely and easily. 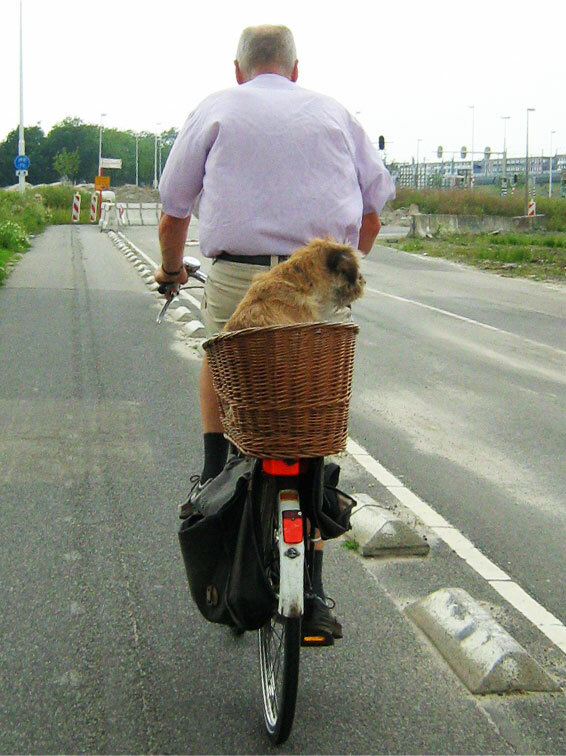 Can you imagine this man having the freedom to ride a bike around your town or village, or in the British countryside? 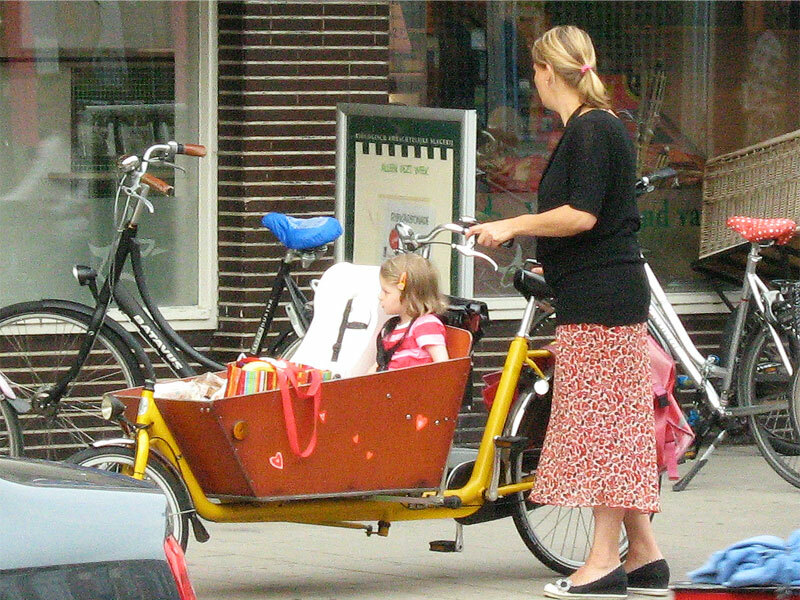 I thought this would be one of the easiest picture posts to choose the photos for, but it turned out that I had so many photos of children riding bikes that it was hard to choose which ones to show. It’s often said that children are the pit-canaries of our society, and if this is the case then the UK has got a problem. Our pit canary lost its feathers years ago and is now gasping for air. 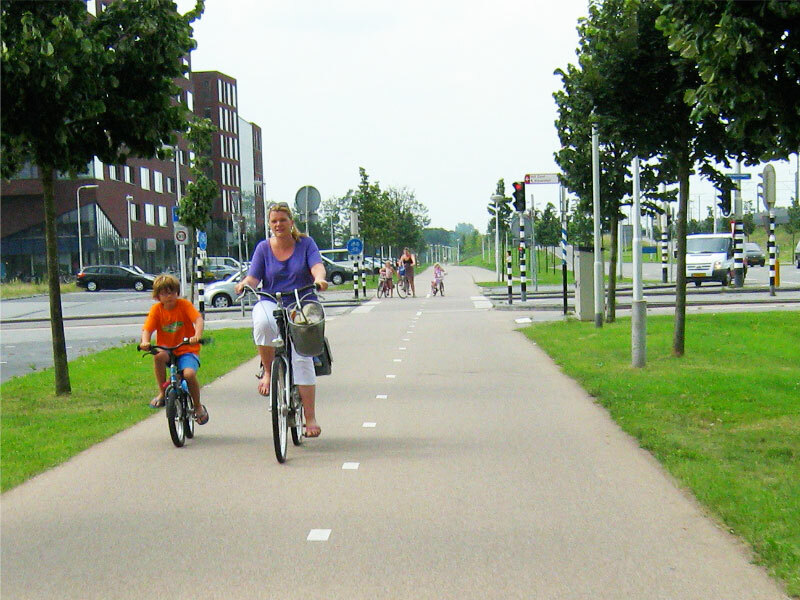 One of my aims with these Netherlands photo posts is to challenge those who insist that we can achieve mass cycling without infrastructure, by showing scenes that simply wouldn’t exist if the cycle paths weren’t there. 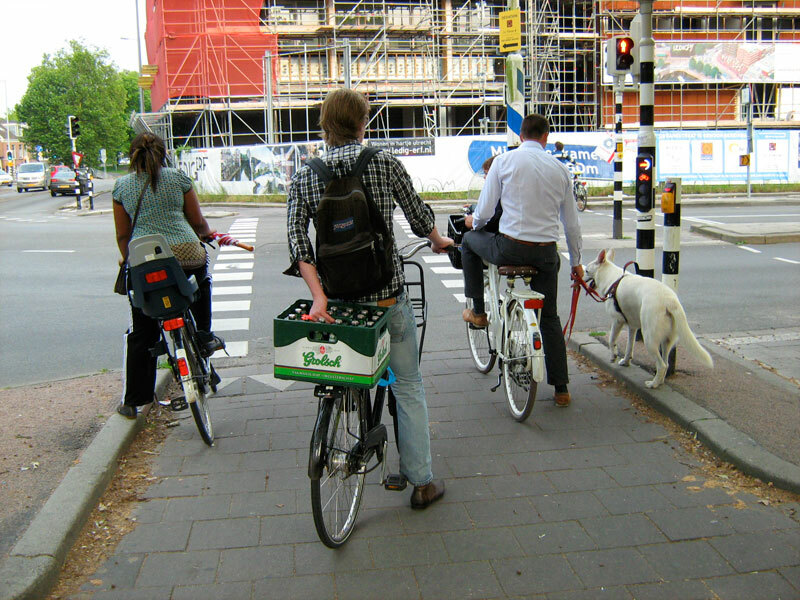 I really can’t imagine any of these scenes happening on the UK’s roads! And of course there’s this old favourite too. 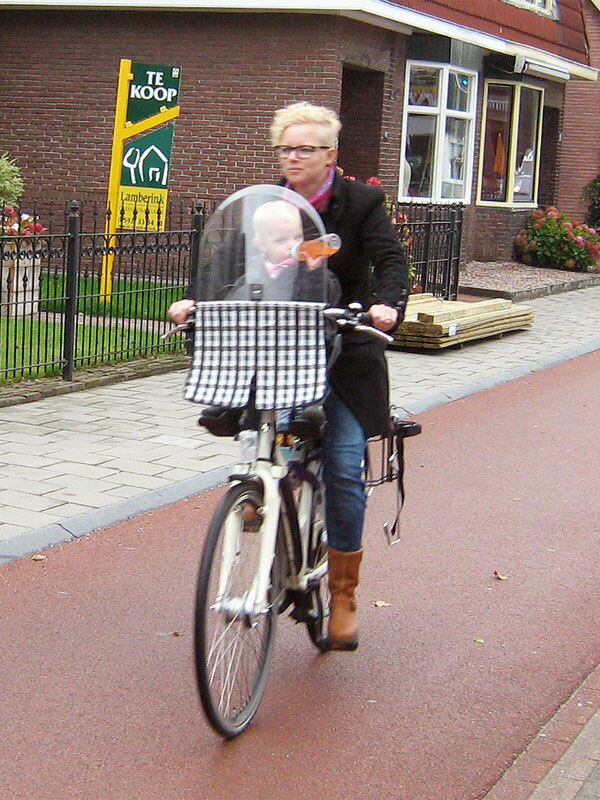 As this post is meant to be uplifting I recommend you ignore the following link, but if you really want to see the UK government’s equivalent vision of children cycling then click here. Just make sure you have a nearby wall handy to bang your head against.